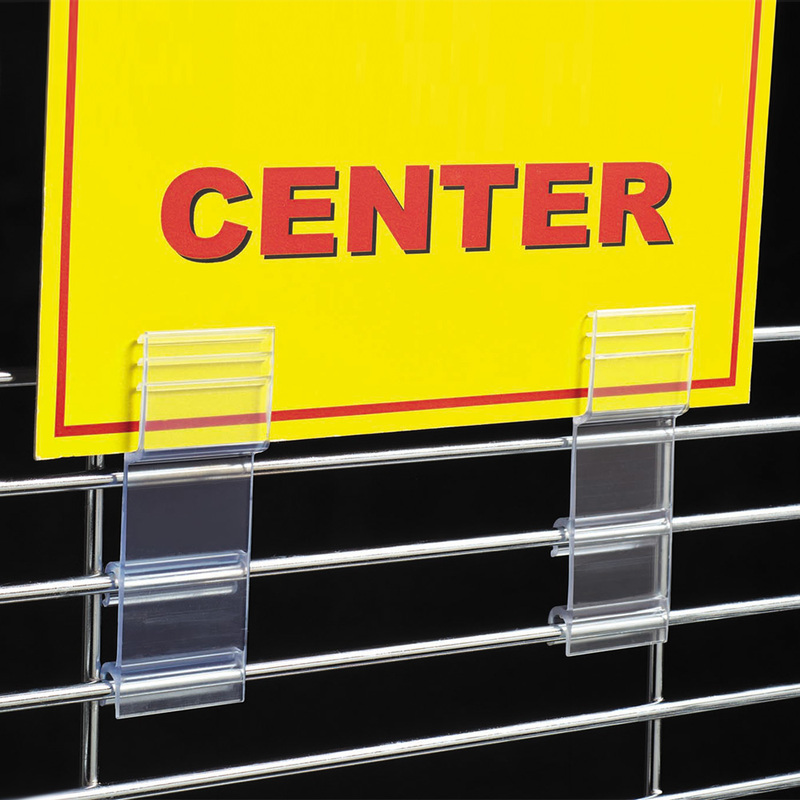 Wire grid sign holder attaches signs above wire fixture in a flush position. Fits most standard wire .188 in. diameter. 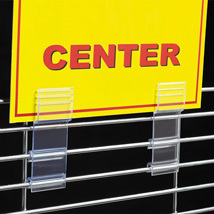 Holds up to 1/8 in. thick signs.